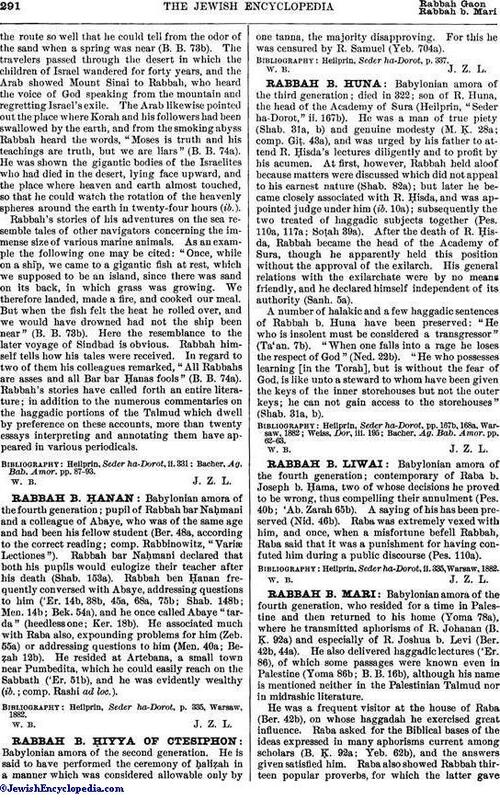 Babylonian amora of the fourth generation; contemporary of Raba b. Joseph b. Ḥama, two of whose decisions he proved to be wrong, thus compelling their annulment (Pes. 40b; 'Ab. Zarah 65b). A saying of his has been preserved (Nid. 46b). Raba was extremely vexed with him, and once, when a misfortune befell Rabbah, Raba said that it was a punishment for having confuted him during a public discourse (Pes. 110a). Heilprin, Seder ha-Dorot, ii. 335, Warsaw, 1882.